"The union has received information that foreign workers continue to arrive in the country in alarming numbers." It should at the same time help reduce the number of foreign workers in the country, he added. He was commenting on a report in The Star on August 8 where the Malaysian Employers Federation (MEF) complained that it was confused by the current government policy on foreign workers. The Union said that it agreed with the MEF and reiterated it was time for the government to make clear its stand on hiring new foreign workers. “As stated by the MEF, it’s a matter of national interest. An official announcement must be made as soon as possible so that everyone is clear,” said Kishnam. 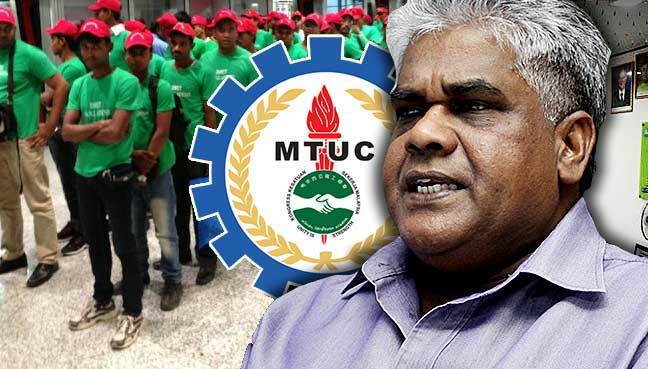 The MTUC had earlier warned on extreme dependence on foreign workers and called for the country to move forward from the current situation. It feels that industry and employers should work together with the government to reduce dependence on foreign workers.